Recently, BMW introduced its new coupe 2-series as a car of 2014 model year; however, currently, there are some updates for the 2015 model. The carmaker has confirmed a new optional feature as the all-wheel-drive xDrive for both European and the U.S. markets. Moreover, the xDrive feature will be also offered for the 228i and M235i models. Due to the new drive, a lineup of powertrains will be also changed. 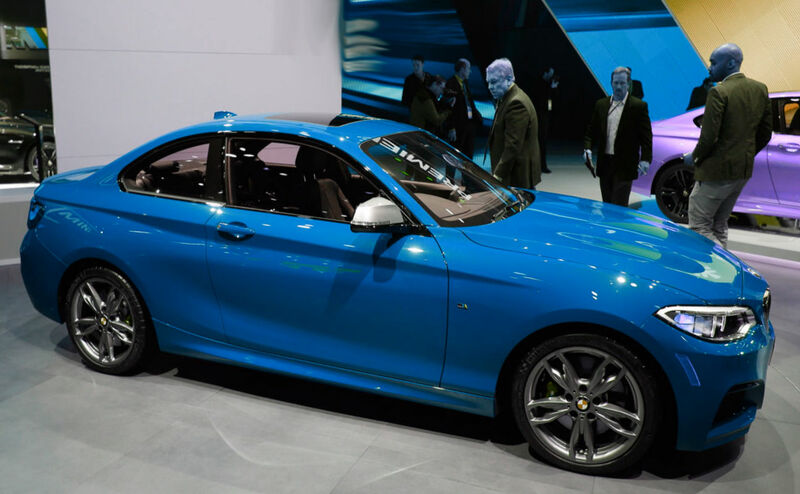 The basic 228i model will be equipped with the 2.0-liter four-cylinder turbo engine produces the power of 240 horsepower; the sports M235i will get the 3.0-liter six-cylinder turbo engine issuing 322 horsepower of the output. According to BMW, the all-wheel-drive xDrive M235i equipped with a more powerful engine and the eight-speed automatic gearbox will be able to accelerate from 0 mph to 62 mph in 4.6 seconds. In addition, there will be some updates such as the adaptive M suspension; M sports brakes, 18-inch wheels and others. The all-wheel-drive models are planned to cost higher. The 228i of 2015 has the price of 33,050 dollars and the sports M 235i –from 44,050 dollars as well.